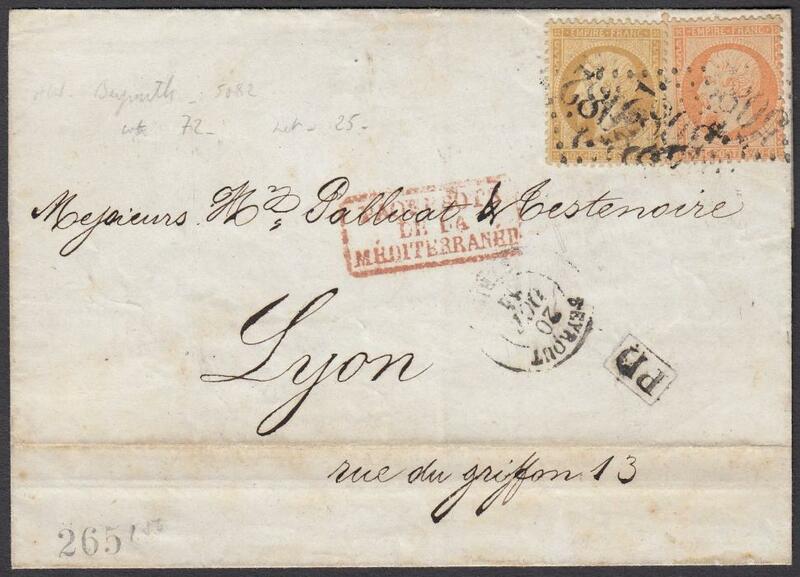 1864 outer letter sheet to LYON, endorsed on inside flap as written from LE VIREY, franked perf Napoleon 10c. and 40c. tied '5082' large numeral lozenges, BEYROUTH cds below, framed 'PD' and red framed maritime handstamp; reverse with MARSEILLE entry and arrival cds. 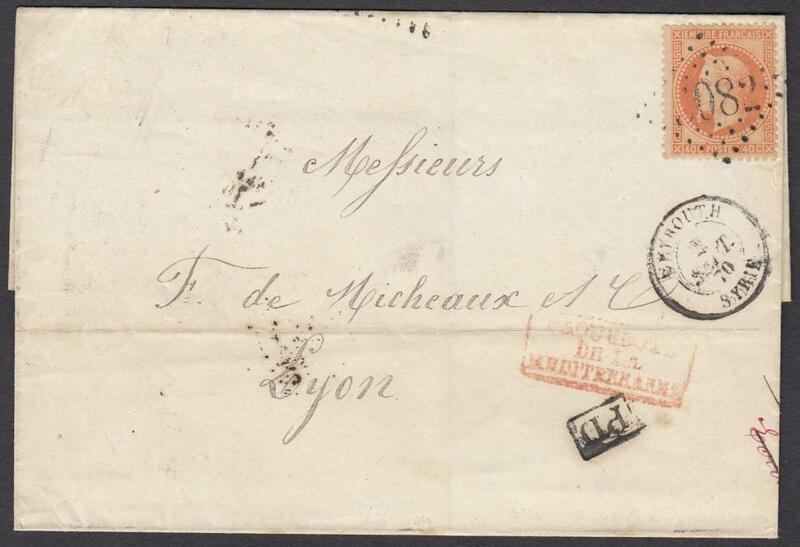 1870 outer letter sheet annotated on inside flap as from AIN MACHERAH to LYON franked 4c. Laureated Napoleon tied '5082' large numeral lozenge with BEYROUTH cds below, framed 'PD' and framed red maritime handstamp; MARSEILLE entry and arrival backstamps. 1941 4p.50 postal stationery card up-rated 3p. 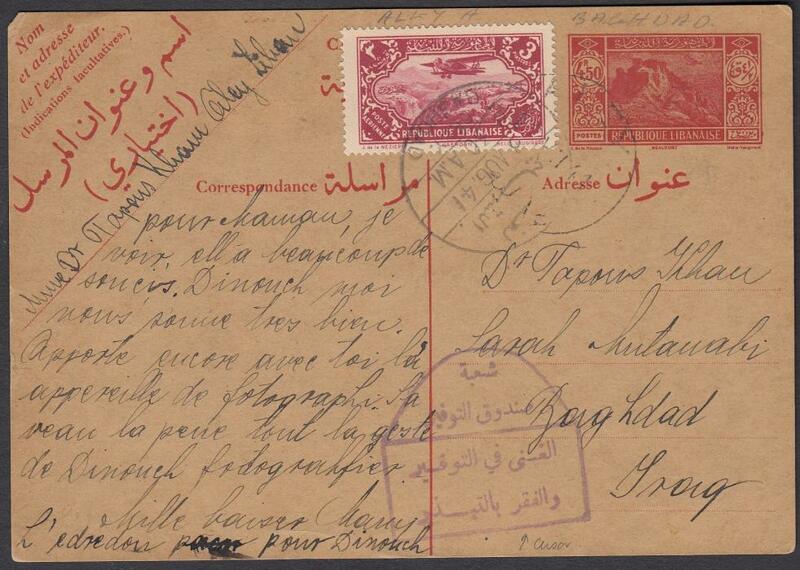 to BAGHDAD, Iraq tied 'ALEY' cds, overstruck with arrival cds, at base violet framed censor cachet; fine commercial usage.